"They threatened Danny: ‘We’ll tear you apart, get out of here.’ One encouraged the others the whole time to grab the cameras, and they started throwing stones at us − at first one or two, then pretty much all of them. There were between 15 and 20," he added. "They got close to the international activist and threw down her camera. The camera fell, rolled and the settlers grabbed it and left. They threw stones for a few more seconds and said they were going to grab another camera. A minute later they left us and ran back." 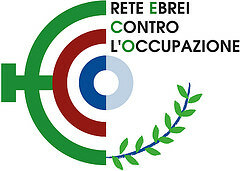 The two foreign activists were Italian members of the the organization Operation Dove.